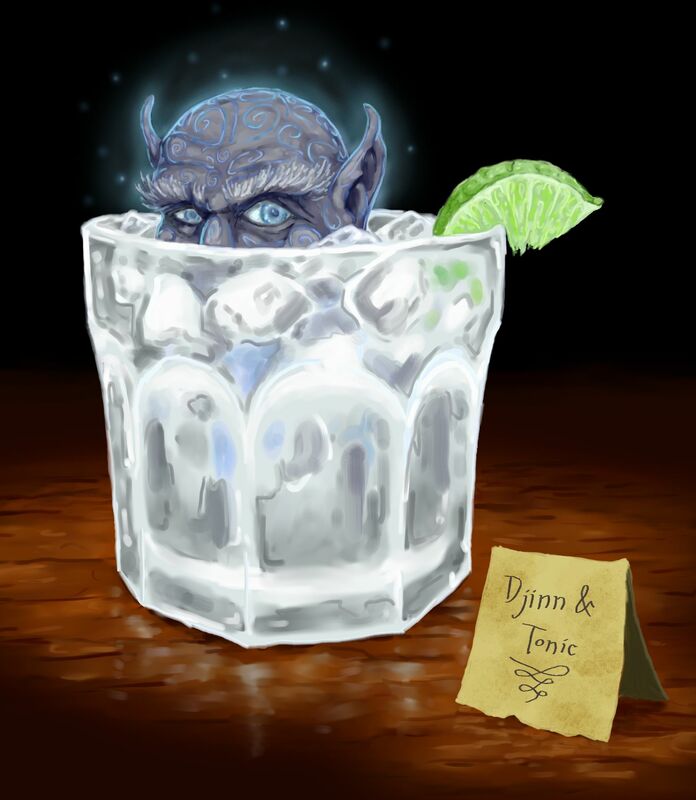 …an infamously difficult drink to prepare, if only because djinn are, as a rule, deeply suspicious of citrus. It’s a wonderful piece of art, made even better by the note that follows. Deeply suspicious of citrus 🙂 He does look it, doesn’t he?